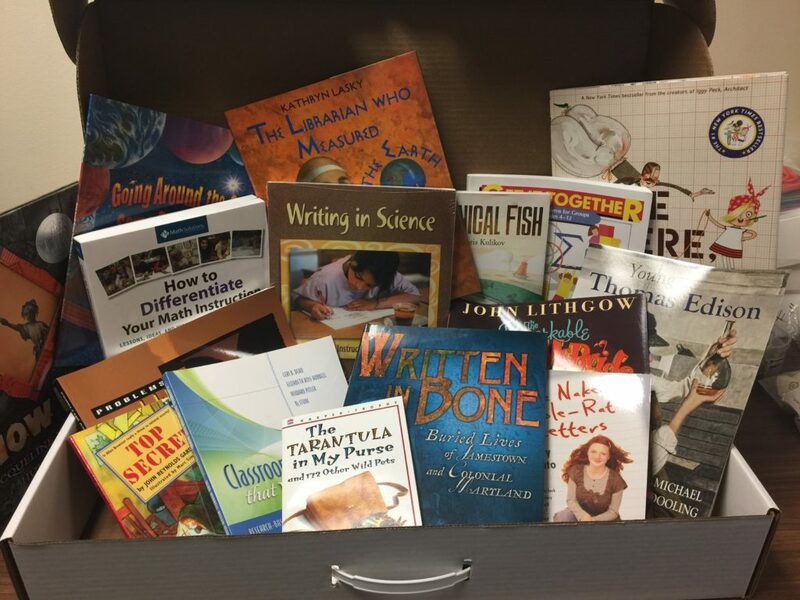 Kindergarten Box of Free Books and Materials! I still remember my first day of teaching. Eighth grade at Bayside Middle School. I had been hired to teach physical science. The butterflies, my fear I might fail, the wonder of having my own classroom, the hope I would make a difference. Teaching has always been in my blood. I come from a long line of teachers and administrators. It was no surprise to my mom when, at the age of 4, she found me in my room with my dolls lined up on the wall and a chalkboard in front of them. And yes, I still have that chalkboard! The seed to become a teacher was planted well before I was born. I know it is my calling, my purpose in life. But it wasn’t until the 7th grade that I found out teaching science would be my gift. Just like my first day, I can still remember my 7th grade life science teacher Mr. Perino asking us to bring in a sample of water from a pond or somewhere near our house. As he put it we were going to see the life in a drop of water. Life in a drop of water-right! I thought he had lost his mind. Being the rule follower, I did what he asked. From my water sample I learned how to make a wet mount slide, learned to focus the lens on the microscope, and laughed as I put my eye up to the eyepiece and focused. Bam-there it was-life in a drop of water! It was amazing! I might have even shouted out loud how cool it was, but I didn’t care. Suddenly the questions started flooding my mind-how could life live in water. What do they do all day? How do they eat? I wanted to know more! That one activity launched me on the journey to becoming a science teacher. Teachers teach the next generation of lawyers, doctors, writers, mechanics, truck drivers, teachers, nurses, politicians and so on. This one profession is responsible for inspiring children to dream big and believe they can set the world on fire! Sadly, the wear and tear on teachers is showing. Burnout is becoming a real problem in the teaching profession and the numbers of people seeking to become teachers is dropping. But you can help to make a difference in the life of a teacher who may be questioning their value. 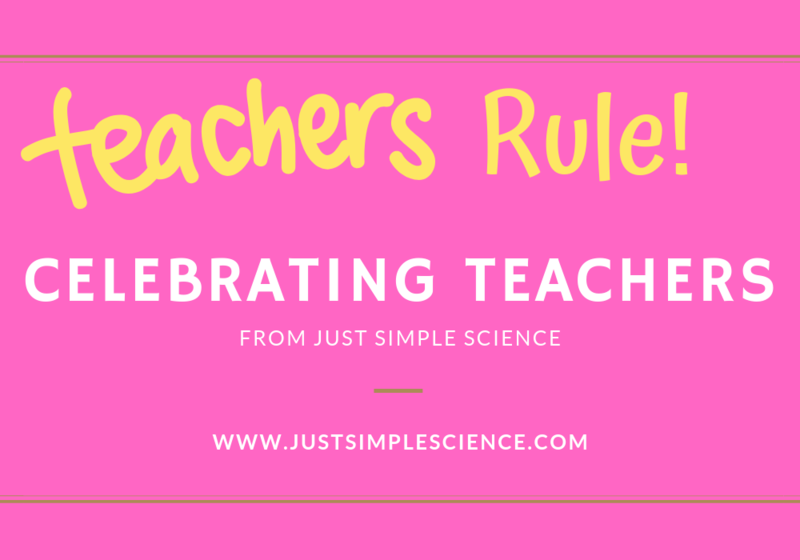 For this years Teacher Appreciation Week (May 6-10), Just Simple Science wants to spread some love to some special teachers! Do you know a teacher who is having a rough time? Maybe someone who just needs a pat on the back? If you do, please nominate them for our first “Celebrating Teacher” award recognition. We are taking nominations for teachers in the Hampton Roads area who teach in grades PreK-5. Nominations are open from April 12-April 28th. 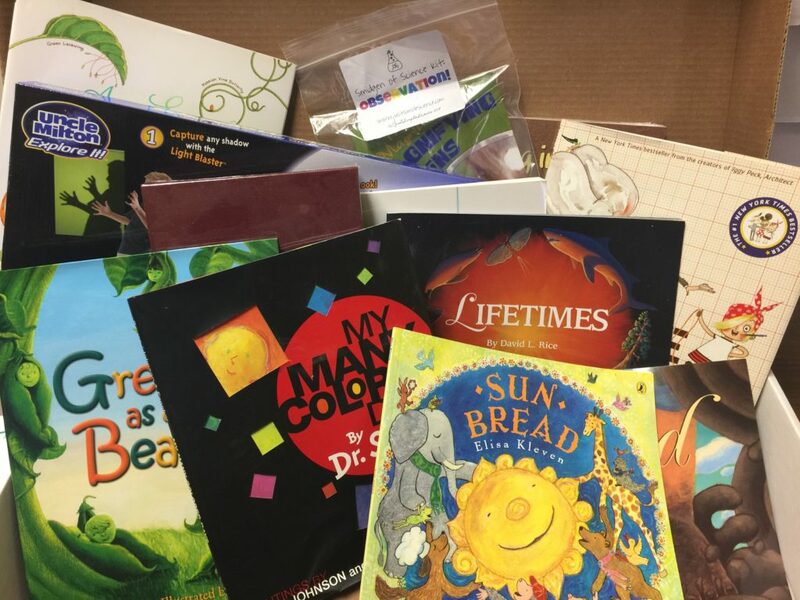 At the end of April we will select 7 winners-one from each grade level and give them a box full of books and other supplies. But we can’t do this with out your help! Nominate a teacher who needs a little pick-me-up! All you have to do is fill out a simple form and we will do the rest!! There is no cost to this-this is our way of blessing public and private school teachers in the Hampton Roads area (click here to see listing of school districts) Let Just Simple Science bless a teacher you know! Apply today! Applications are open from April 12-April 28.